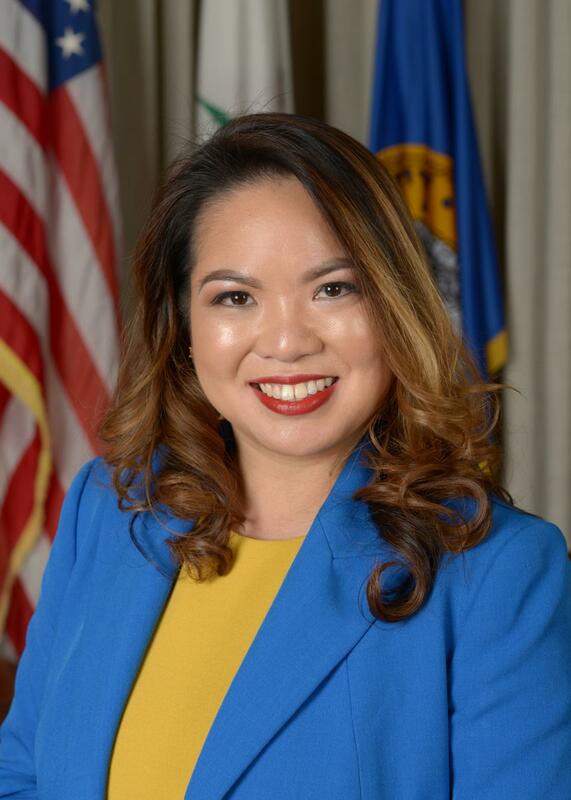 Juslyn C. Manalo was appointed by the Daly City Council to the Board of Directors of the Bay Area Water Supply and Conservation Agency. The city provides water to Daly City and to some unincorporated portions of San Mateo County. Ms. Manalo was elected on November 2016 as the first Filipino woman on the Daly City Council. Currently she is the Chairwoman for the SamTrans Citizen Advisory Committee. She also serves on the board of the Senior & Disability Action, South of Market Business Association, and the President of the Filipino Community Development Corporation. Ms. Manalo was raised in Daly City and has deep roots in serving the community from a young age. Being raised in the multi-ethnic City of Daly City has given her a deep appreciation for diversity. Early in her career, she became a Community Service Worker providing direct service to the Filipino World War II Veterans, and founded the Student Action for Veterans Equity in 2001 with her student colleagues. Ms. Manalo also managed the Bill Sorro Housing Program (BiSHoP), a program that helped low to moderate income families, find, defend and sustain their housing. Currently, she is a Community Engagement Associate for the company Forest City building partnerships to create community development opportunities such as affordable housing, jobs, open space, and youth development. Ms. Manalo earned her Masters of Public Administration, from San Francisco State University's School of Public Affairs and Civic Engagement. She has also attained a Bachelor of Arts, in Asian-American Studies and a Minor in Women Studies from San Francisco State University.